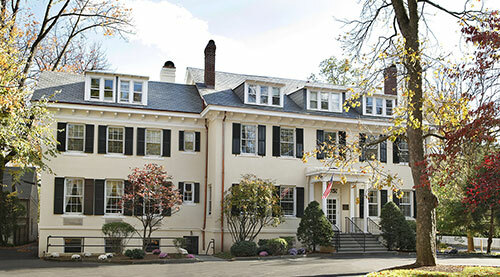 Our Princeton Architects designed this home renovation in three-phases. 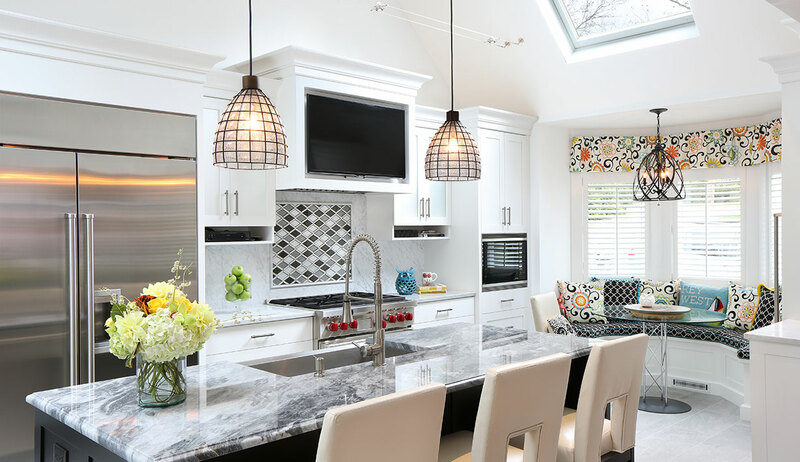 Beginning with the upstairs baths and dormer addition, followed by this elegant light-filled kitchen and deck and finishing with a master suite renovation and bathroom addition. 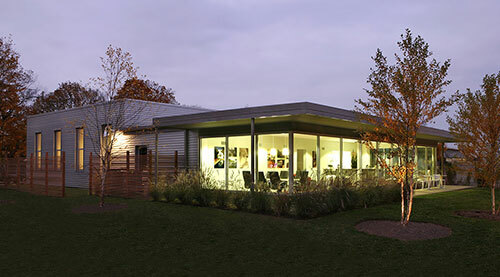 The bow window and built-in banquet seating creates an intimate and inviting atmosphere. 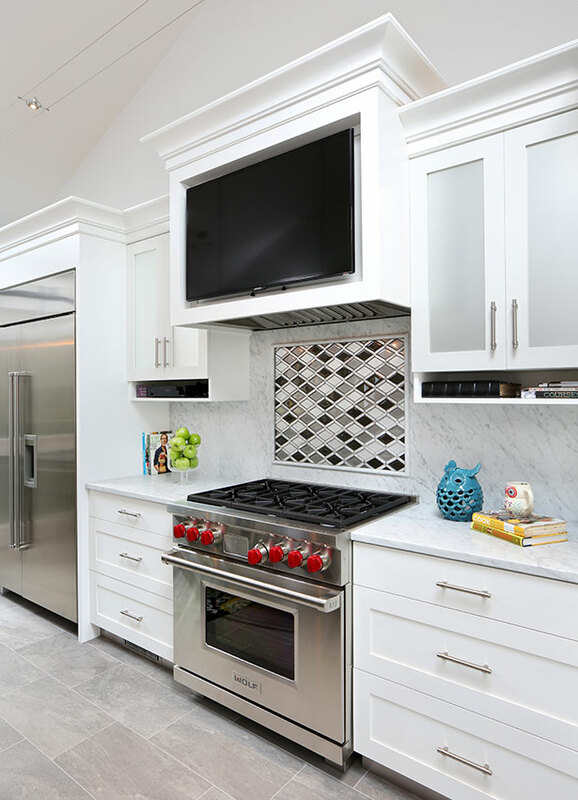 The frosted glass cabinets and the Cararra marble backsplash are a subtle combination. 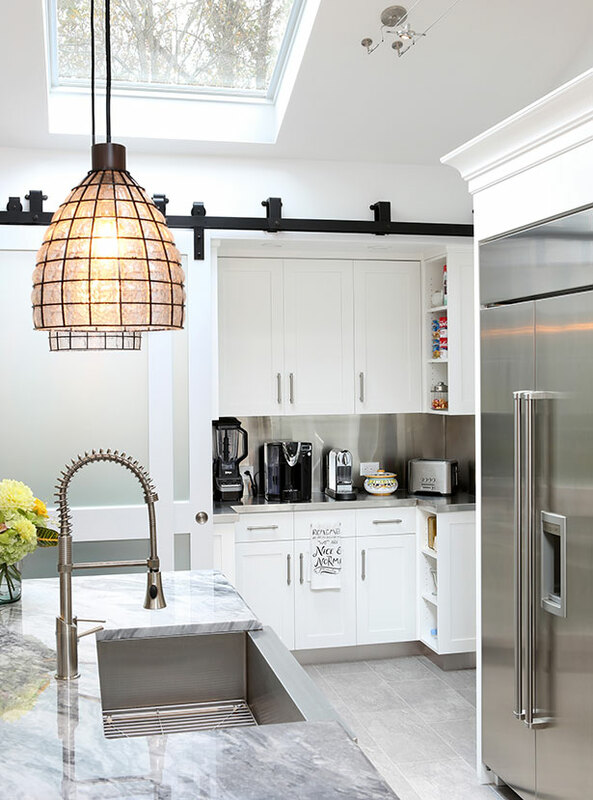 Easily accessible yet hidden away, the pantry is designed to maximize storage and hide the clutter. Pet friendly and practical, the dog washing station with a stainless-steel counter and sink tucks neatly behind the rolling barn doors. 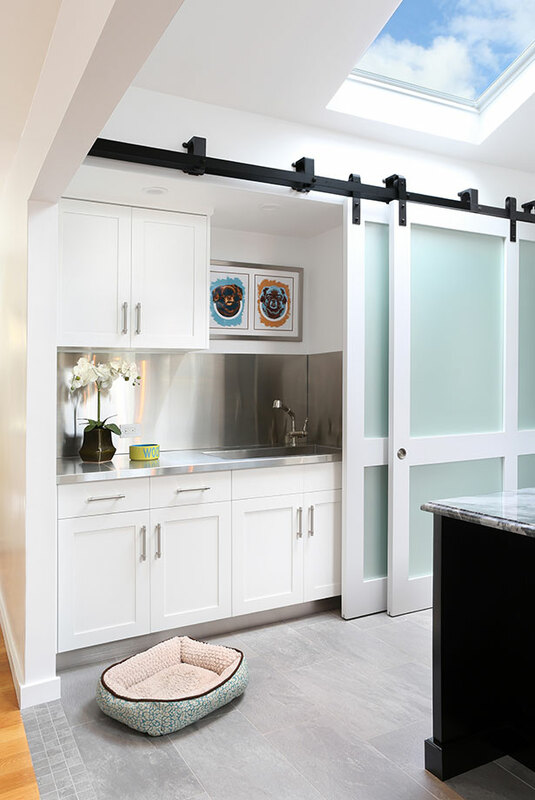 Efficient, functional and yet distinctive, the rolling barn doors bounce natural light into the kitchen from the skylight above. 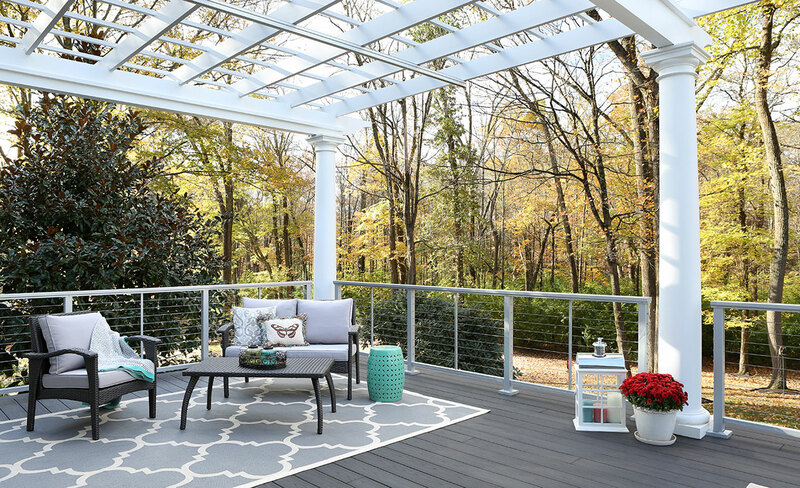 The expansive outdoor deck and pergola overlook a gorgeous wooded property making this a serene and relaxing place to land at the end of the day. 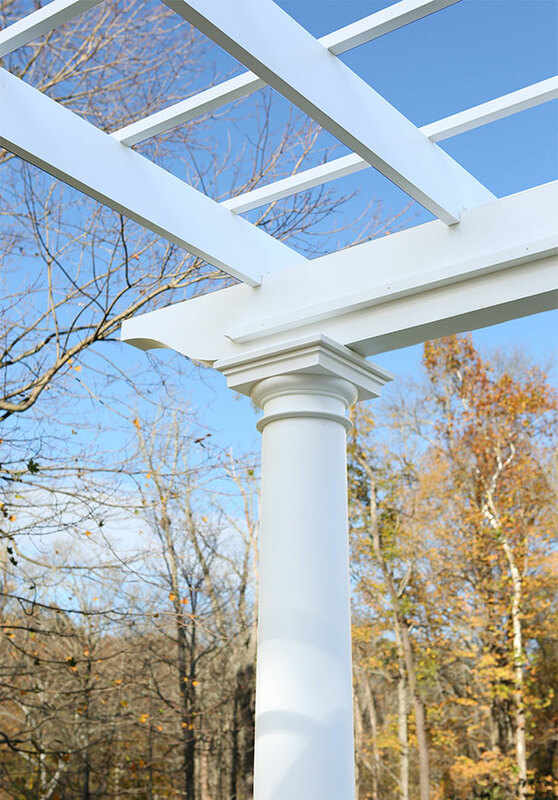 White tuscan columns anchor the pergola adding to the serene setting. 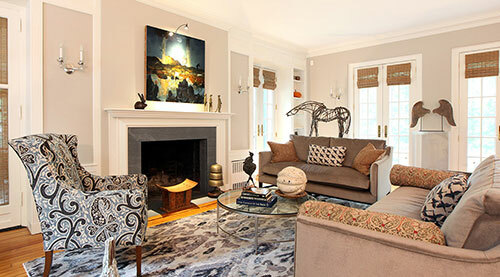 The third renovation phase transformed this Master Bedroom into a Master Suite. 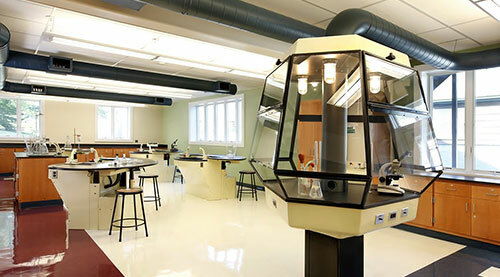 Such a beautiful space to wake up in everyday! 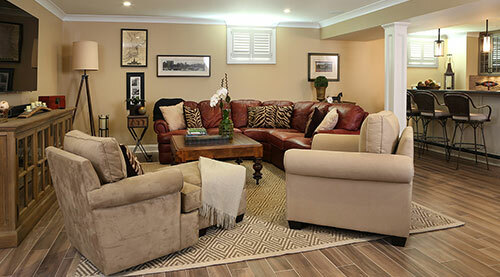 The large single pane alcove windows flood this cozy Master Suite. 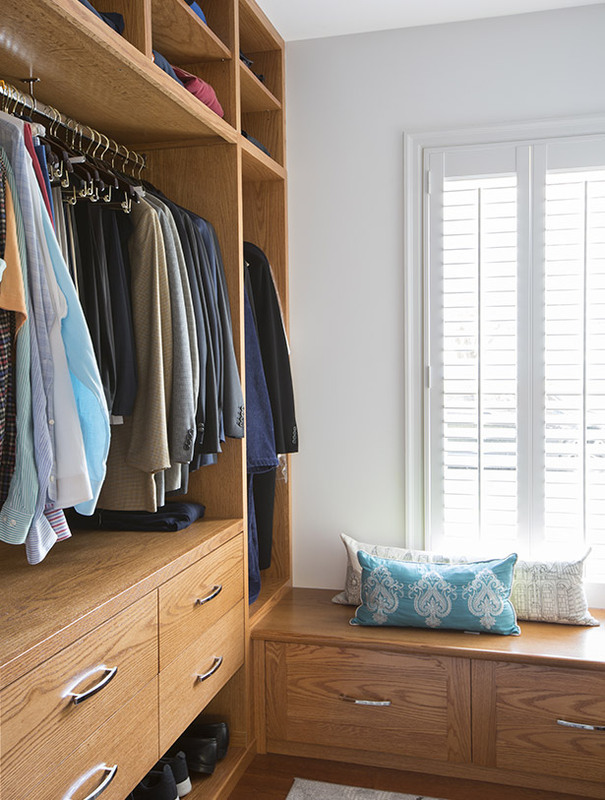 Designed specifically for him, this closet is laid out to organize and simplify his wardrobe from casual to formal. 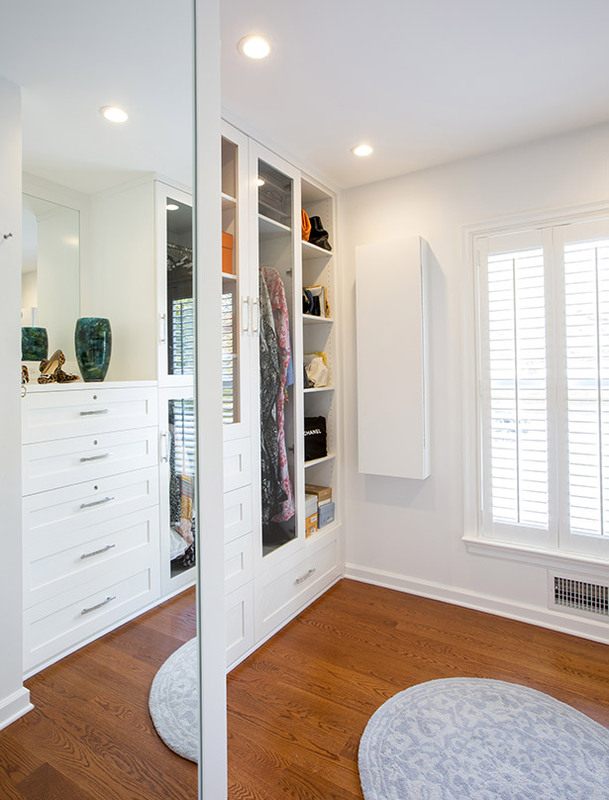 Spacious and carefully planned, her master closet is designed with mirrors and a window that floods the room with light. 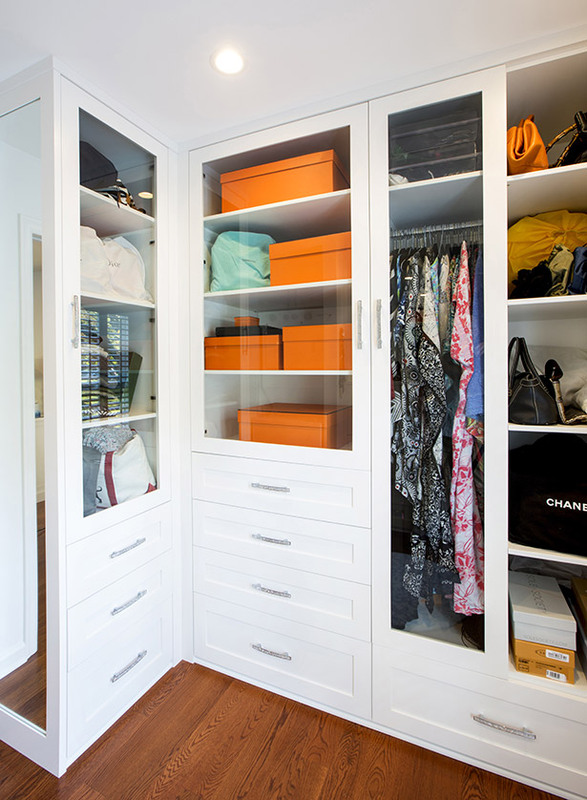 Specifically designed to accommodate everything from accessories to clothing, this master closet features glass doors for dust free storage. 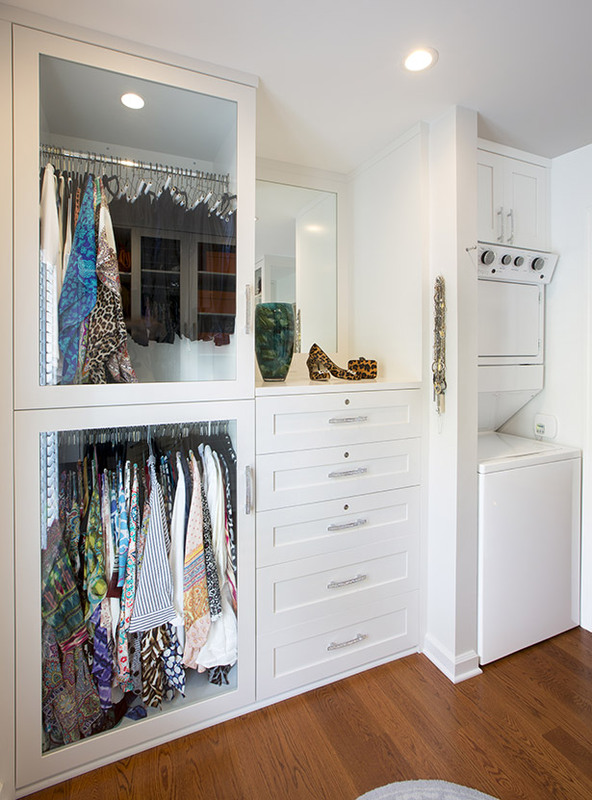 Who doesn’t love a washer and dryer in the Master Closet! 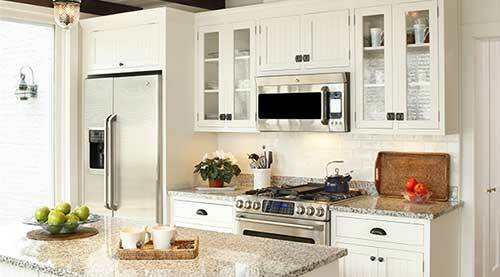 The glass front cabinets and built-in dresser make this the ideal set-up. The elegance is the simplicity in this soaking tub spa. The split-face gray ledgestone accent wall and dramatic crystal chandelier creates a peaceful respite. The pocket doors divide the Master Bedroom and the Master Bath. His and her bathrooms are located on either side of the tub chamber. 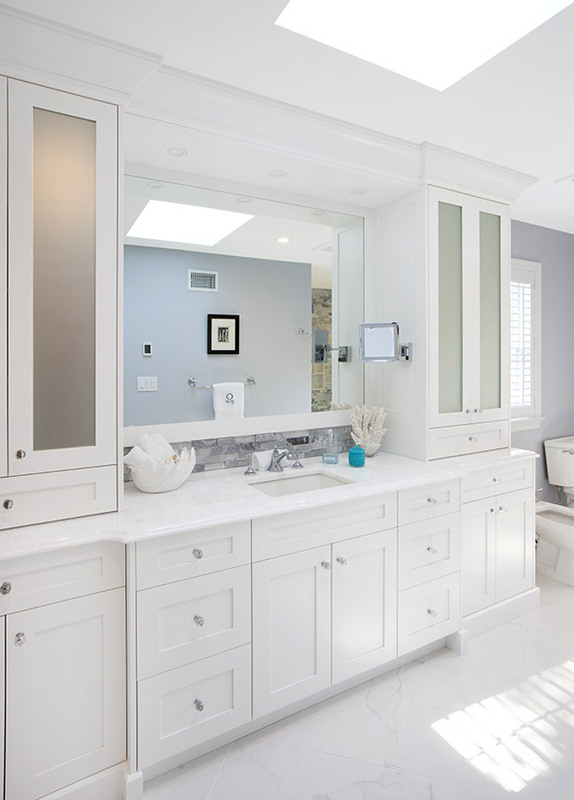 The skylight floods light into this beautiful bathroom which is further reflected by the mirrored wall and frosted glass doors. 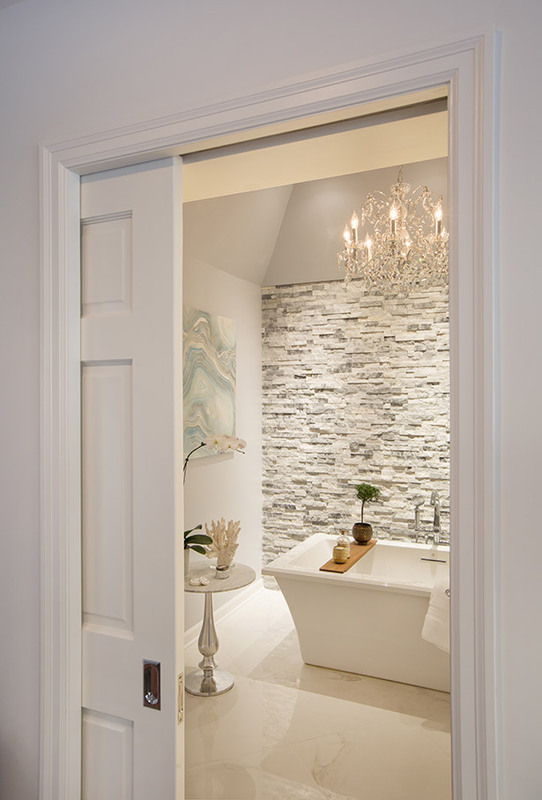 Both his and her bathrooms feature this same ledgestone accent wall and complementary adjacent marble walls. 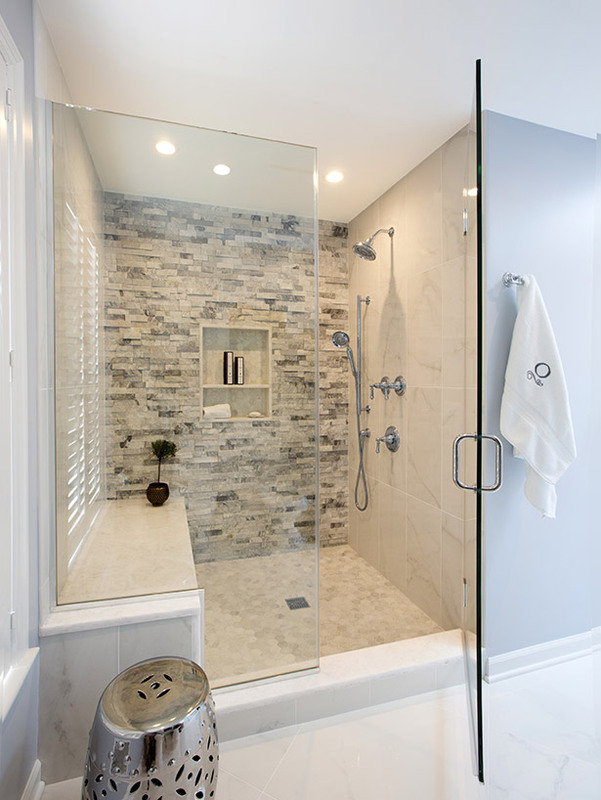 The glass shower doors create an open and inviting environment.